The Laboratory Astrophysics Division (LAD) of the American Astronomical Society (AAS) is pleased to announce its award recipients for 2017. LAD’s highest honor, the Laboratory Astrophysics Prize, goes to an individual who has made significant contributions to the field over an extended period of time. 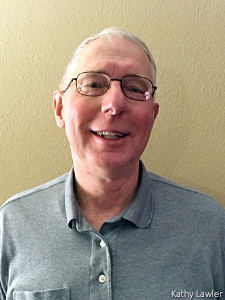 For 2017 the prize is awarded to James E. (Jim) Lawler (University of Wisconsin, Madison) for his contributions in atomic physics to advance our understanding of galactic nucleosynthesis and chemical evolution. His spectroscopic work has opened a new era of stellar chemistry by advancing our ability to compare nucleosynthesis predictions with accurate relative elemental abundances. Lawler has dedicated much of his career to developing innovative techniques and technologies for precise measurements of atomic transition probabilities needed in analyses of stellar spectra. He pioneered improved hollow cathode atomic beam sources on which time-resolved laser-induced fluorescence is used for determining accurate radiative lifetimes and branching fractions. He and his colleagues generated data on numerous lines for neutral and ionized rare-earth and iron-group atoms for extracting elemental abundances for the Sun and other stars as well as for the interstellar medium. Lawler received his PhD in atomic physics from the Department of Physics at the University of Wisconsin, Madison, where he is the Arthur and Aurelia Schawlow Professor of Physics. His previous honors include Fellowship in the American Physical Society, the Optical Society of America, and the UK Institute of Physics. He received the W. P. Allis Prize of the American Physical Society in 1992 and the Penning Award of the International Union of Pure and Applied Physics in 1995. He has served as an editor for the Journal of Quantitative Spectroscopy and Radiative Transfer and for Journal of Physics D. He has trained 35 graduate students who have gone on to prominent careers in academia and industry. 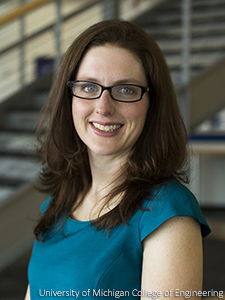 The 2017 Early Career Award, given to an individual who has made significant contributions to laboratory astrophysics within 10 years of receiving a PhD, goes to Carolyn Kuranz (University of Michigan) for seminal laboratory experiments in hydrodynamic and radiation processes relevant to astrophysical dynamics. Kuranz uses high-energy-density plasma environments to study phenomena occurring in space, such as shock waves and magnetized jets. She was the experimental lead scientist for the Center for Radiative Shock Hydrodynamics at the University of Michigan and has utilized the Omega Laser Facility at the University of Rochester and the National Ignition Facility in California. She is the principal investigator on one of the first two experimental campaigns to explore discovery science with the latter facility. Kuranz received her PhD in applied physics from the University of Michigan, where she is now an associate research scientist. She is a member of the Executive Committee of the Division of Plasma Physics in the American Physical Society and is the founding chair of the Jupiter Laser Facility User Group at the Lawrence Livermore National Laboratory. She is actively involved with recruiting and training students in studies of high-energy-density plasmas. The 2017 Dissertation Prize, given to an individual who has recently completed an outstanding theoretical or experimental doctoral dissertation in laboratory astrophysics, goes to Kyle Walker for his thesis "Molecular Collisional Excitation in Astrophysical Environments and Modeling the Early Universe." 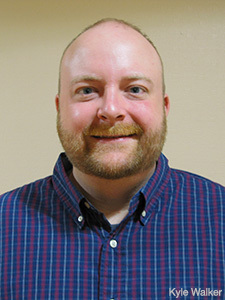 Walker earned his PhD in physics at the University of Georgia and is now a postdoctoral research associate at Université du Havre, France. The LAD Dissertation Prize is new; Walker is the first to receive it. Walker works at the interface of computational astrophysics and computational atomic and molecular physics, focusing on the molecular properties of interstellar environments. His doctoral research generated critical laboratory astrophysical data needed for modeling astrophysical environments that are not in local thermodynamic equilibrium. All three LAD prizes include a cash award, a framed certificate, and an invited lecture by the recipient at a meeting of the Laboratory Astrophysics Division.